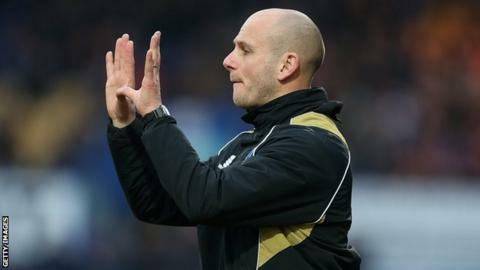 Mansfield Town manager Adam Murray has criticised his side's hunger following their 2-0 home defeat by Exeter City. Tuesday's defeat saw the Stags slip out of the League Two play-off places for the first time since September. Murray told BBC Radio Nottingham: "It lacked everything that we stand for and what we've built our good period on. "We didn't show any enthusiasm, any fight, any willingness or bravery to get on the football. We looked dead in the water." The Stags have slipped to eighth and are a point behind seventh-placed Carlisle United.